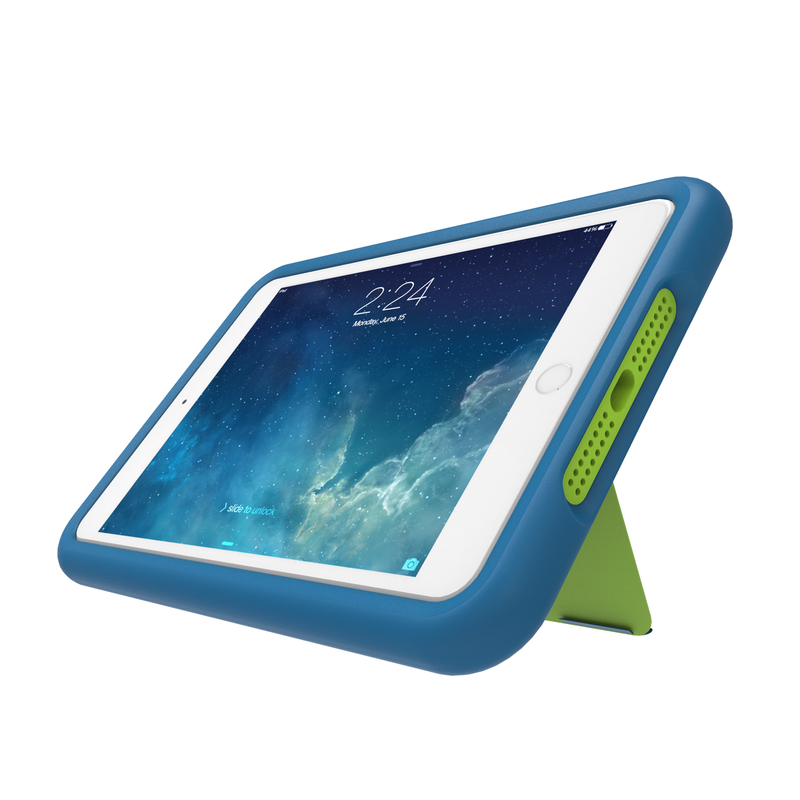 Designed to protect your tech products from the bumps and bruises of everyday life, especially if your life includes kids. M-Edge International, a leading tech accessory brand, is pleased to introduce the SuperShell2 Kid Case, the company's latest innovation designed to protect your tech products from the bumps and bruises of everyday life, especially if your life includes kids. 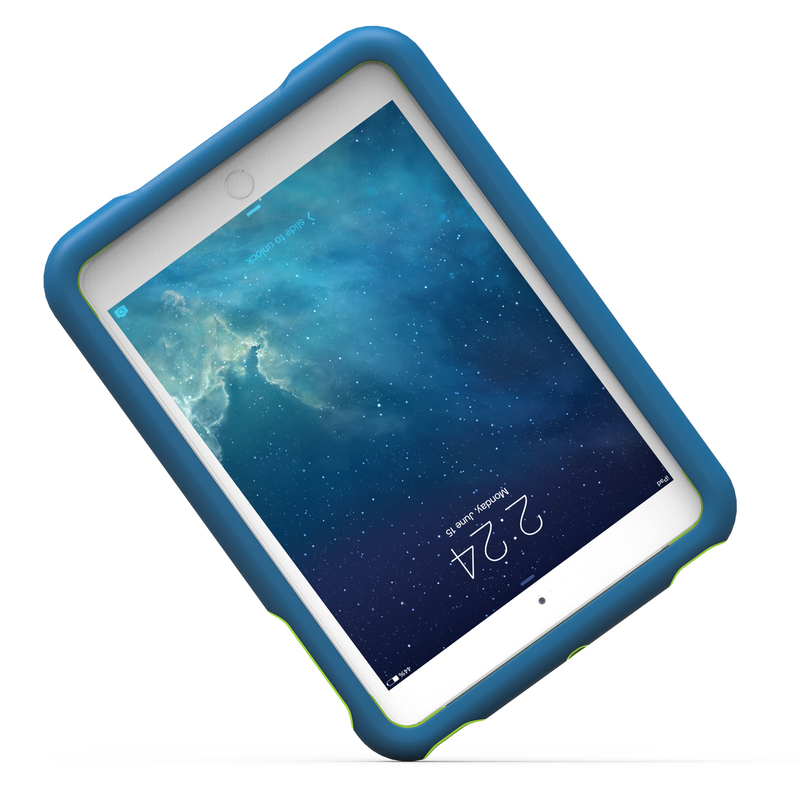 The SuperShell2 is the ultimate solution to the functional-but-fragile challenge facing tablet owners who want their kids to play and learn on the devices, but worry about the inevitable drops and spills. And even if that 'little one' in your life happens to be not-so-little, the SuperShell2 protects your Apple or Microsoft tablet no matter who drops it or gets jelly on it - all without reducing any of your device's functionality. Kid-friendly and kid-proof, the SuperShell's sleek, co-molded design protects your tablet from little fingers that have gotten too sticky or too slippery to use the device safely. The SuperShell is made from ultra-protective proprietary closed-cell foam which wraps around all of your tablet's borders and provides maximum protection from shocks if the device is dropped. The foam uses a proprietary EVA formula which is food grade and anti-microbial and its finely-dimpled texture provides a no-slip grip which only increases your tablet's security. Even with all of these safety features, the SuperShell does not force you to sacrifice utility. 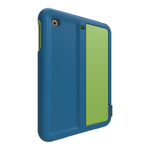 With openings for rear-facing cameras, speakers, and all of your tablet's ports and buttons, the SuperShell allows for full access to all of your tablet's functionality. 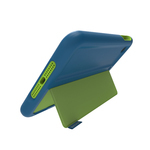 Available for iPad Mini 2/3, Mini 4, iPad Air 2, and Microsoft Surface 3, the SuperShell for iPad models incorporates a kickstand in the shell design, while the Microsoft models allow you to use the Surface kickstand with additional Surface pen storage as well. The SuperShell will be available immediately following CES at many major retailers and available for immediate shipping.